Ravalation: ME 3: What's better than one Krogan? Ten thousand Krogan! ME 3: What's better than one Krogan? Ten thousand Krogan! And what's worse than yet another Mass Effect post? No post at all. 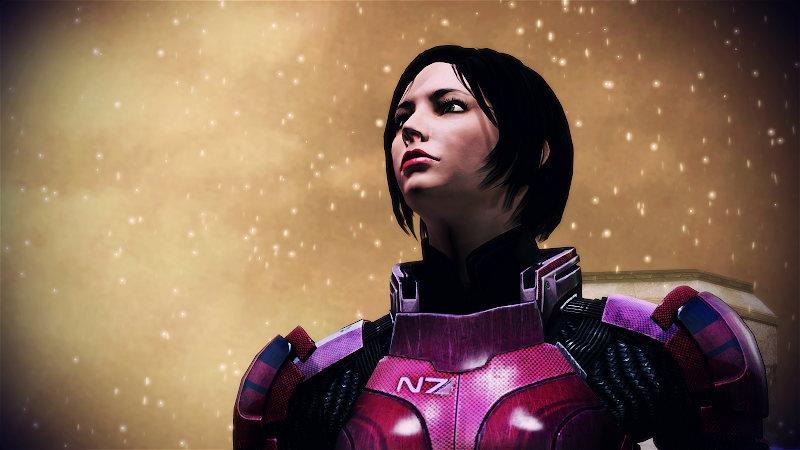 Mass Effect 3 is going on and on and I don't have enough time to keep up here with the events that happen in-game. So I'll write another post and it will be a lovely thing to do, as it will be about my two all-time favorite characters: Urdnot Wrex and Mordin Solus. I do have to give out an alert, though: the following will be a huge spoiler if you haven't played Mass Effect 3 and are planning to do so in the future. 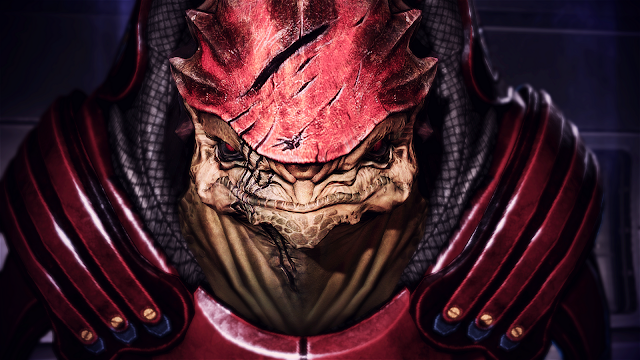 We saw how Wrex turned from a mercenary outlaw to a leader of his clan on Tuchanka. Even better, he became a leader with a vision, wanting to stop the Krogan to fight each other and work together instead. With so little fertile Krogan females, he understood that it is better to share than to kill each other, ending up with less Krogan all the way. Who knows, the example of the Normandy with its cooperating races and the knowledge of the Reapers lurking in dark space might have inspired him. The other Krogan are not all so enthusiastic about Wrex' new ideas, but he seems to be making some progress when you visit him in Mass Effect 2. Wrex likes war, but he does not seek to overflow the whole galaxy with Krogan, even if there would be a cure for the genophage. He has learned from the past. Besides, Wrex is my all-time favorite Mass Effect character, with his awesome sturdy and hilarious comments. 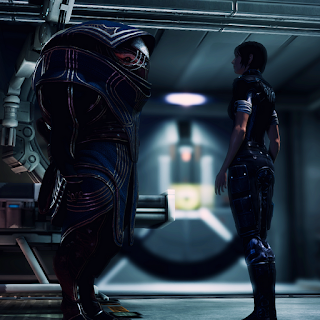 I wrote about the complications of curing the genophage (Ode to Wrex, under "Krogan with brains") before, but have always been secretly hoping there would be an opportunity to cure it anyway. I was disappointed in Mass Effect 2, but it seems my hopes were finally fulfilled in Mass Effect 3! Mordin Solus was able to save one Krogan female test subject that his former student worked on (much to his displease when he found out). I've always been really curious as to what female Krogan would be like, but I was pleasantly surprised. They look like Krogan, but are still feminine (picture to the right). Their voices are heavy, but still feminine as well. And on top of that, they're strong, like their male counterparts, but they're also wise. The one that Mordin saved was an awesome character, with a "we women will save the galaxy"-attitude. She started traveling Tuchanka, advocating the Krogan to stop fighting and work together instead. Anyway, Mordin was able to extract a cure from the female Krogan, which had to be spread out over Tuchanka by adding it to some sort of huge device, and of course everything ended with a lot of running, jumping, things collapsing and an epic matron threshermaw vs Reaper battle. Unfortunately, it also ended with Mordin dying, which made me sad. My brilliant funny talkative scientist! I guess it makes it a bit less worse knowing Mordin wanted to do it himself, finishing his life's work in the right way. He also was very old for Salarian standards. This made me deal with his loss, otherwise I would have been so depressed! Overall, this was an epic mission. Tomorrow I'll write about SWTOR again, I promise!